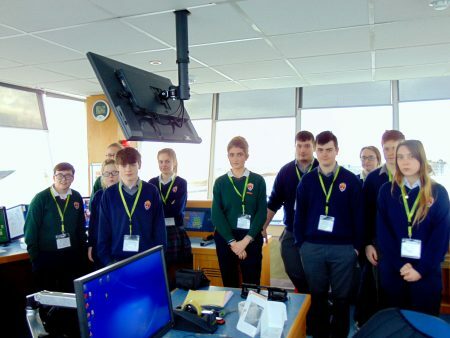 On Wed 16th January, 5th and 6th LCVP students participated in a field trip to Ireland West Airport Knock. 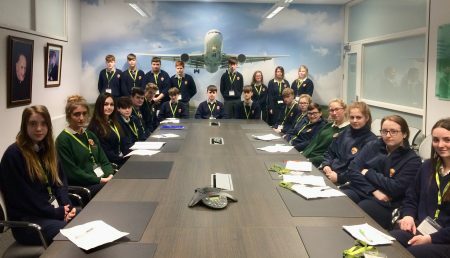 Having conducted extensive research on the history and development of the airport the students were delighted with the opportunity to observe the operations of the airport first hand. 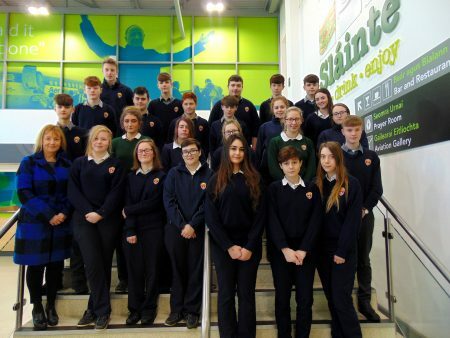 The group were greeted by Operations Manager Catherine O Boyle, who presented the students with their security badges to allow them access all areas of the airport. 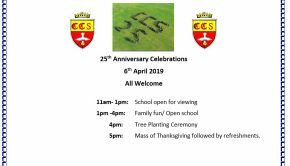 She then gave an outline of the action packed day ahead. 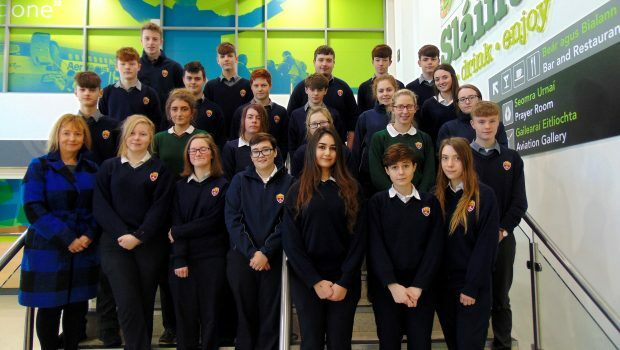 The group were given three separate presentations from various departments within the airport. These were Human Resources, Marketing and Fire and Security. 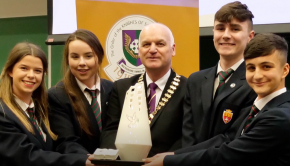 Each of the presentations provided the students with an in depth insight into the airport and also highlighted the importance of the airport to the West of Ireland and its wider catchment area of 1.1 million people. Following these presentations, the group then went downstairs for a tour of the customer services area including the check in desks. Then the highlight of the trip; the students divided in groups and having cleared security were given access to the observation tower. Here they observed the staff at work as 3 flights landed and 2 departed from the airport. The staff gave an outline of the various equipment as well as arrival and departure procedures. 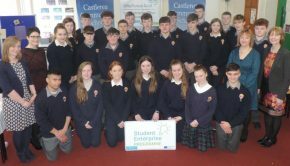 The visit proved to be a huge success and touched on so many aspects of a variety of subjects at Leaving Cert level while highlighting the importance of the airport to the West of Ireland. 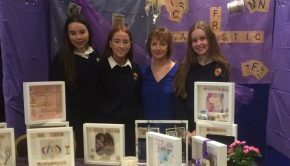 LCVP students with teacher Ms Y Ryan during their visit to Ireland West Airport Knock. In the Board Room at Knock Airport. 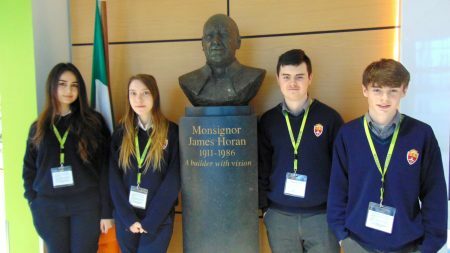 Aysha Dahbour, Helen Kelly, Liam Gill and Kyle Burke at the statue of Monsignor James Horanat Knock Airport.